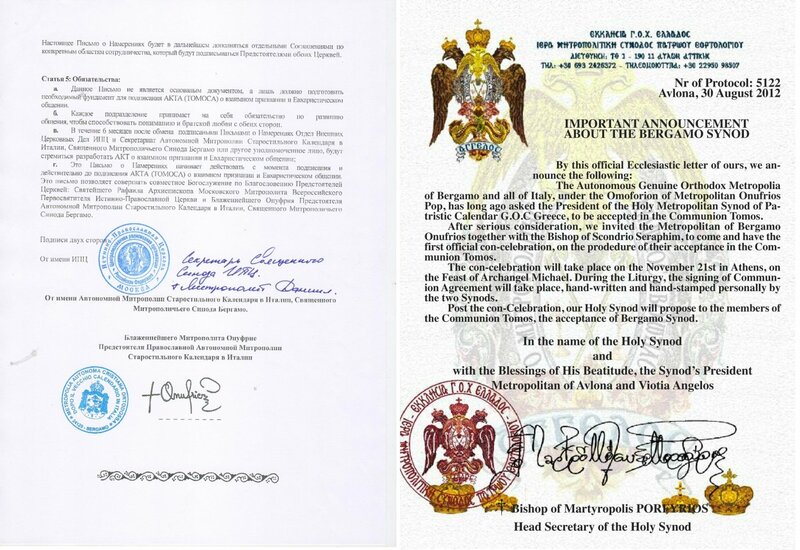 (NFTU) The True Orthodox Russian Church under Metropolitan Rafael of Moscow and the True Orthodox Church of the Patristic Calendar under Metropolitan Anghelos of Avlonos have issued a Tomos for each Synod dated August 30 and September 2 (New Style) recognizing the Old Calendar Metropolia of Italy under Metropolitan Onufrius of Bergamo and independently entering it into full communion. 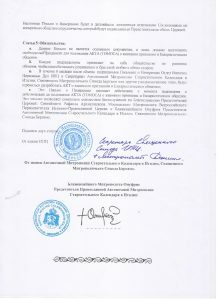 Metropolitan Onufrius of Bergamo, earlier this year, had contacted the American Metropolia and requested its protection as it restructured the parishes and areas in Italy formerly under the Milan Synod, which collapsed after Metropolitan Evloghios and Bp Abundius of the Milan Synod abandoned their respective episcopal rank to join the Moscow Patriarchate. 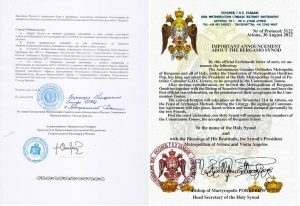 Metropolitan John of New York immediately issued a tomos recognizing the Italian Metropolia, for the moment, as an independent Metropolia under its protection. 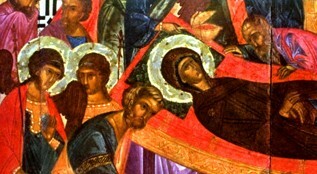 Today’s news indicates that the Sister Churches of the American Synod have finally chosen to recognize the Italian Metropolia independently– a step which Metropolitan John of New York indicates is a last step before recognition of the Italian Metropolia as a successor to the Milan Synod and equal to the American Synod, while recognizing the primacy of the more ancient see. 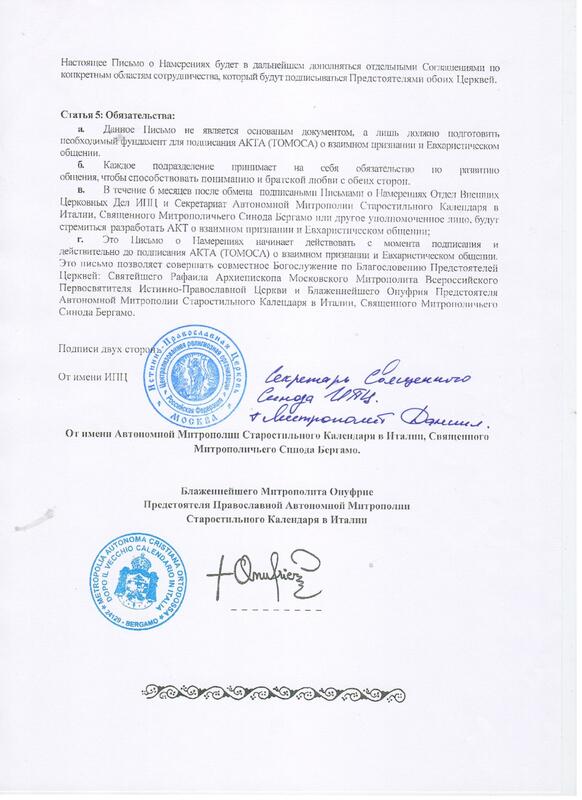 Metropolitan John has indicated he will be sending a Tomos to Metropolitan Onufrius this week. 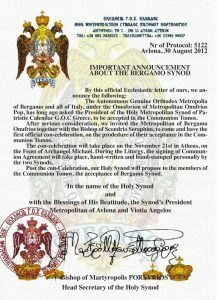 It is expected that the Tomos will confirm the Synod of Metropolitan Onufrius of Bergamo as the canonical successor to the Metropolia of Milan. 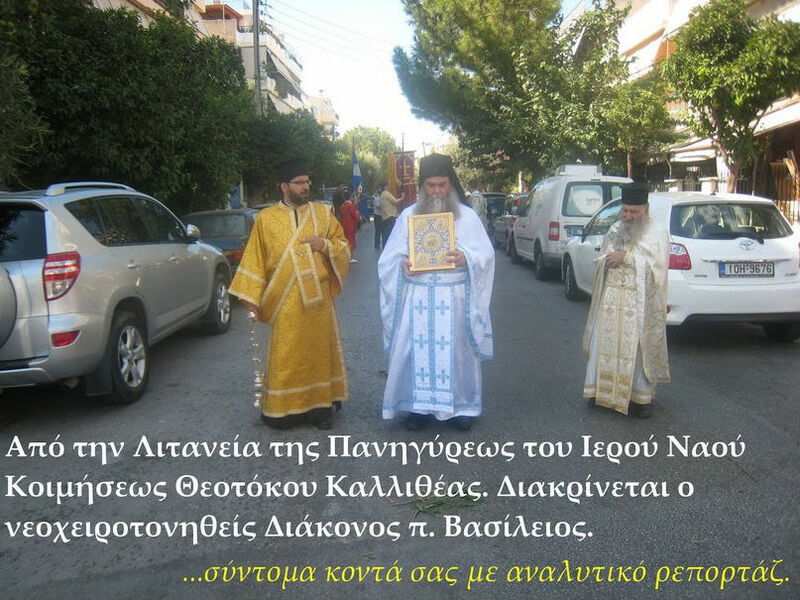 His response to the news was one of great joy, seeing that all the Synods in the united True Orthodox Communion are of one mind and one heart concerning the restoration of the Church in Western Europe and that the trials that surrounded what was once the Milan Synod have finally ended. 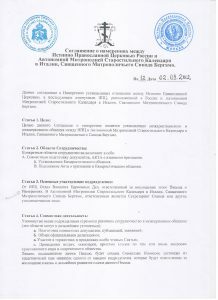 Below are the confirmatory documents. 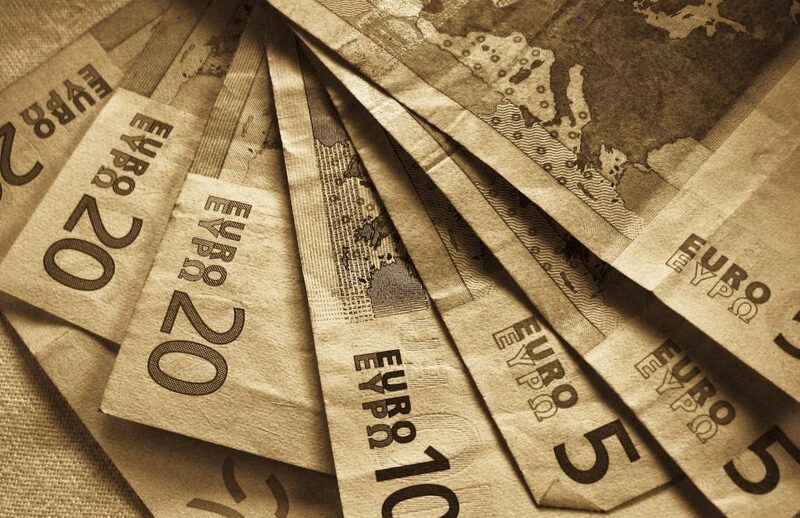 Will the Economic Crisis Mark the Beginning of the End for State-Orthodoxy?